Glenn Ford, Geraldine Brooks, Cedric Hardwicke, George Macready. Suspenseful thriller about a former WWII paratrooper’s attempt to reclaim the gems he buried in France during the war. 1952/b&w/90 min/NR/fullscreen. The Trinity Church on The Green Choir of Men and Boys Annual Christmas Concert. The entire performance. New Haven Connecticut on 4 December 2011. 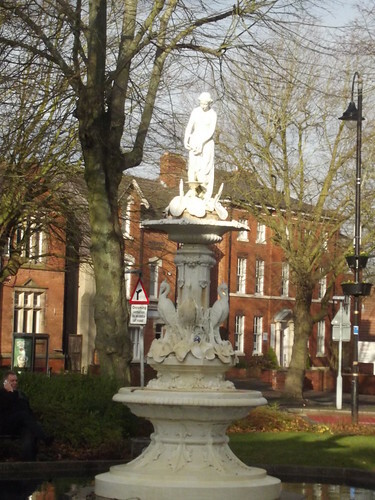 Fountain with statue in Church Green. moulded stem with foliated relief work decorating the narrower central section. importance when approaching the town centre from Prospect Hill. (BoE, p 248). This church on Warwick Road in Acocks Green is St Mary the Virgin. 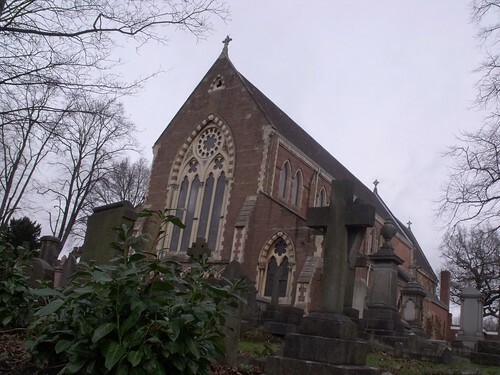 It is the Parish Church of Acocks Green. 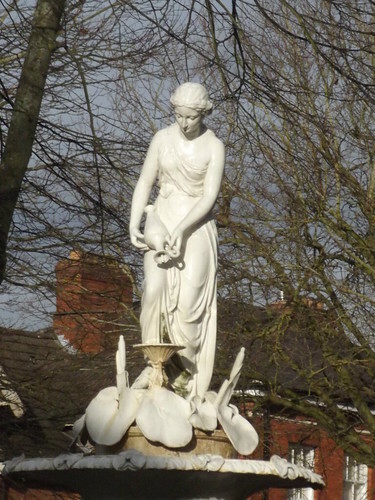 It is a Grade II listed building, since July 2009, possibly to help it with renovations (can’t find listing on Heritage Gateway but it is on the Acocks Green History Society’s website). An Anglican parish church in broadly C13 style, designed by J G Bland, dating from 1864-1882 with extensions of 1891-4 by J A Chatwin. MATERIALS: The church is constructed from two colours of local sandstone, apart from red brick walls to the exterior of the transept arches marking the impact of WWII bombing; the roofs of the main church are of concrete tile, and those of the east ends of the aisles are of slate. PLAN: The church is orientated north east-south west, though ritual compass points are used throughout this description. The plan has nave, north and south aisles, chancel, north vestry, south organ chamber and north porch. EXTERIOR: The exterior is of red sandstone with cream sandstone dressings. The long elevations have five bays to the clerestoried nave, and a slightly lower two-bay chancel. The westernmost nave bays have aisle windows of three lights below clusters of trefoils, set into pointed archways with colonnettes with carved capitals including foliage and human heads. The clerestory windows above are paired plain lancets. In place of the transepts are continuations of the aisle in brick, with four lancets. The north porch has a steeply-gabled roof and elaborate Early English doorway with zig-zag and foliate decoration. The north vestry is also gabled, and has a further lean-to vestry with similar windows to those in the nave. The south side is similar but has a flush doorway instead of a porch in the western bay, and a C20 brick extension at the east end. The north and south sides of the chancel each have two tall two-light windows with trefoils above, running full height. The west end has a tall window of paired lancets with cusped decoration and a circular window above, with carved foliate decoration to the spandrels, and a drip mould with zig-zag decoration. Below this is a blind arcade of eight pointed arches carried on colonnettes with composite capitals and a continuous drip mould with zig-zag carving. The east window has Decorated tracery, giving five tall lights, quatrefoils and cinqefoils, and glazed spandrels. INTERIOR: The interior has whitewashed brick walls above stone arcades. The five-bay arcades are of pointed arches in bands of red and cream sandstone, which spring from short, round piers carried on very high bases, with carved foliate capitals. The nave has an arch-braced collar-rafter roof whose trusses are carried on moulded stone corbels; the chancel roof is a timber barrel vault. The floor of the aisles is of large stone flags, and that to the east end is in polychrome tile. The westernmost bay is screened from the main body of the church by a pierced timber screen. The pews, which, like most of the furnishings were lost in the bombing of the church, have been replaced with chairs. The chancel arch and transept arches spring from slender clustered columns with foliate capitals carved by Bridgman of Lichfield. The interior of the church is dominated by the sumptuous east end. The chancel windows have red and cream banded stone surrounds, and those to the north and south sides are divided by full-height, slender clusters of columns rising to foliate capitals which serve as corbels for the trusses of the roof. A high and elaborate carved alabaster reredos, made in 1903, again by Bridgman of Lichfield, depicts Christ in Majesty, flanked by angels carrying the symbols of the Passion. Matching panels with statues of the Archangels in canopied niches are set to either side of the reredos, and the alabaster carvings are carried around the returns. Above the reredos, in a Decorated window, is a stained glass window from designs by Burne-Jones and Philip Webb, depicting the Crucifixion. The timber altar has painted angels in Pre-Raphaelite style. The altarpiece is carved from Devonshire marble, and has niches to either end housing figures of angels. The font and other furnishings date from after the church’s restoration in the 1950s, including a polygonal timber pulpit with canopy by P B Chatwin. 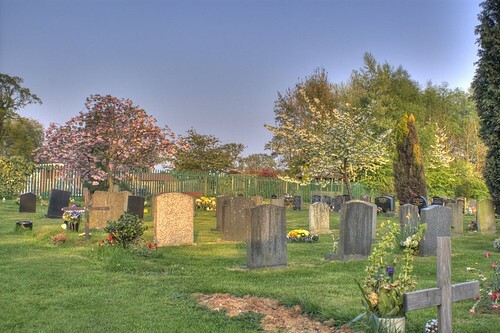 SUBSIDIARY FEATURES: The church has a LYCH GATE in the west boundary wall of the plot. This has a buttressed sandstone base with a timber superstructure, under a hipped roof with slate covering, surmounted by a cream-coloured terracotta cross. Timber gates are mounted in the gateway. HISTORY: The Church of St Mary the Virgin was begun in 1864, to designs by J G Bland, as a chapel of ease to St Eadburgha’s in Yardley. The building, consisting of part of the nave, north and south aisles and north porch, was intended to have transepts, chancel, vestries and a south-west tower added at a later date. Subsequent phases of building were dependent on donations, and progressed slowly. The church was consecrated in 1866, and a parish was created in 1867, out of part of the parish of St Eadburgha. In 1878, work to complete the nave began, with the addition of transept arches and chancel arch. From 1891-2, the church was further enlarged, by J A Chatwin, who added the chancel, organ chamber and vestries; the work was not completed until 1894. A stained glass window by Morris and Co to designs by Burne-Jones was added in 1895, in memory of Reverend Frederick Thomas Swinburn, late Vicar of Acock’s Green; it was paid for by his widow. Further stained glass was installed by various other benefactors, including a large west window by Hardman and Co. In 1903, an elaborate alabaster reredos, carved by Bridgman of Lichfield, was added to the east end. In 1940, the church suffered a direct hit from a large incendiary bomb, which landed at the crossing. The church was badly damaged, with the loss of the roofs, internal furnishings, and most of the stained glass and other decoration. Remarkably, the west window and reredos survived with only minute damage, and the arcades were very little damaged, with the structure remaining sound. 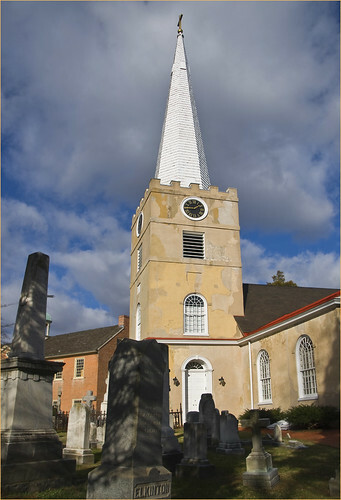 The church was repaired, with some modifications, during the 1950s: the steeply-pitched roof was replaced with a shallower roof, and the height of the clerestory increased; the circular clerestory windows were replaced with taller, rectangular windows. New furnishings were donated, including a new font, pulpit and west screen. The transepts and tower were never built. * The damage and losses (of some interest in their own right, for showing the impact of the 1940 Blitz) are outweighed by the survival of the sumptuous and high-quality carved alabaster reredos, and the large stained glass east window, made by Morris and Co from designs by Sir Edward Coley Burne-Jones.